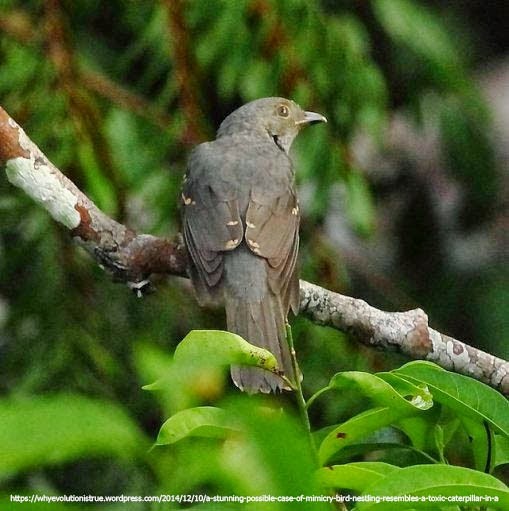 A bird that mimics an insect! Laniocera hypopyrra is commonly known as the cinereous mourner, which as far as common names go, is not much better than the scientific name. You may have heard of several caterpillars which mimic other animals, especially if you are a regular reader of my blog. 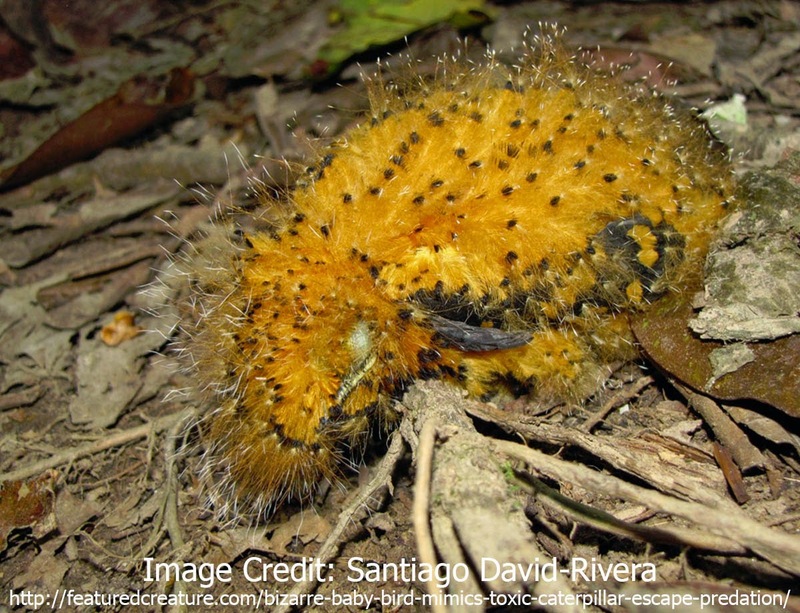 Laniocera hypopyrra is a species of bird which mimics a caterpillar. Juvenile cinereous mourners have feathers which are modified to resemble the color patterns on the highly toxic caterpillars in the family Megalopygidae. They even move their head from side to side in much the same way that a caterpillar sways. The adult looks comparatively boring. Laniocera hypopyrra is found in tropical South America. 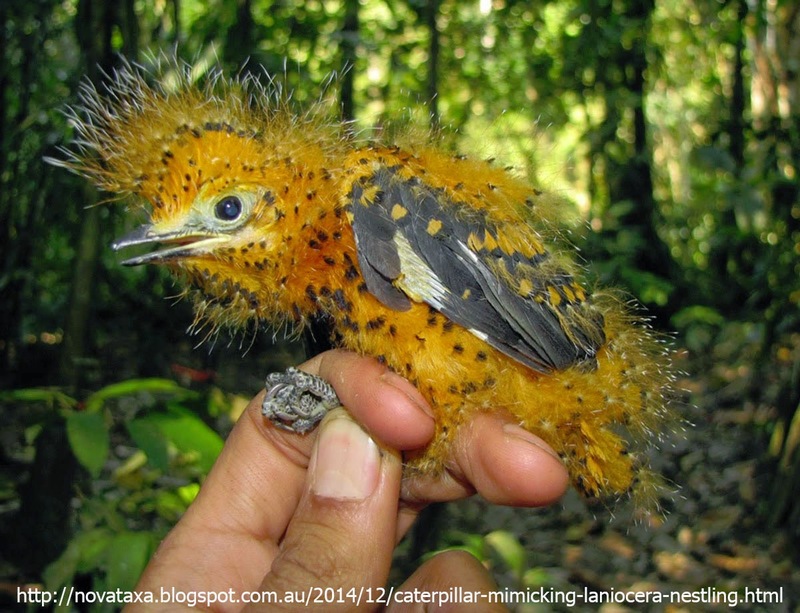 The genus Laniocera has traditionally been placed in the family Cotinga, but is now broadly accepted to be a member of the Tityridae.